Summer vacation is melting quickly away. The new school year is looming ahead. Are the kids prepared? Are the parents prepared? The library has the resources budding students need to excel at school. Eighteen video files always available for free download from Hoopla shows your child “How to Become a Superstar Student.” These videos are packed with information about skills vital to carry your student through high school and into college. The advice, tips, tricks, and resources will transform your student’s education. 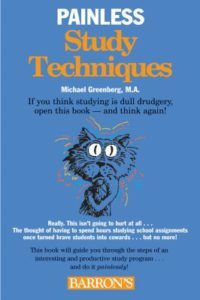 In “Painless Study Techniques,” Michael Greenberg provides helpful information on topics including time management, homework organization, note taking, creating outlines, studying for tests, and writing a research paper. Every chapter features “Brain Ticklers,” activities to help students practice their new skills. The book is intended for secondary school students, but the information could be useful to students of any age and to their parents and teachers. Cal Newport reveals the proven study secrets of real straight-A students in “How to Become a Straight A Student.” Combined into a practical system, he shares secrets on maximizing study time, conquering procrastination, absorbing material quickly and effectively, and discerning which reading assignments are critical and which are not. This is a study guide written by students for students. Available as a free downloadable audio from Hoopla, “The Student Success System: How to Get an A on your Test!,” by Howard Berg teaches students how to study more effectively. He offers techniques to master getting the most out of reading assignments, maximizing reading comprehension and speed, learn and comprehend complex principles of science, physics, and math, and even how to compute math problems in your head. “How to Study Program,” by Ronald Fry is another downloadable audio from Hoopla. Some of the topics covered in this audio include organizing your studying, reading comprehension, organizing your time, efficient use of the library, writing better papers, and studying for tests. If your student is struggling with math, you’ll want to show them “A Mind for Numbers,” by Barbara Oakley. This book equips students with the tools to excel at math and science. In this short book, the author discusses how to toggle between creative and analytical thinking, both of which are required to learn math. She utilizes exercises, photographs, and diagrams to teach students to redirect their brains for more effective learning. The library has a collect of study guides in book format covering the entire alphabetic array of test abbreviations. You’ll find everything from the GED to the GRE, from the ACT to the SAT. Additional study guides are available as free downloadable eBooks from Hoopla and the Sunflower eLibrary. 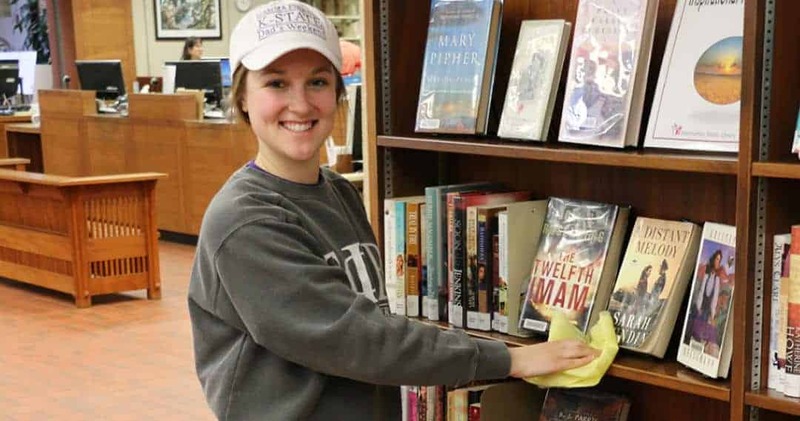 The library is much more than books when it comes to helping you with your education. “Learning Express,” for example, is a one-stop online shop for a variety of resources. You’ll find test prep guides for the ACT, SAT, and others, along with tutorials, and downloadable eBooks. There are also skill building resources for elementary, middle, and high school students in match, social studies, and English language arts. If you’re already in college, take advantage of skill building resources in math, reading, and science. You’ll also find materials on study skills, skills to help you succeed in the classroom, information literacy and research techniques, and computer skills. If you setup a free account with “Learning Express,” you’ll to keep track of the resources you’ve used, and where you left off. If you’re interested in getting a head start on learning another language, or you just need a refresher, try “Mango Languages.” This free online resources features lessons in 71 languages. Learn French, Spanish, Italian, or Russian with ease. There are even specialty language courses, such as Spanish for those in business or in the medical field. 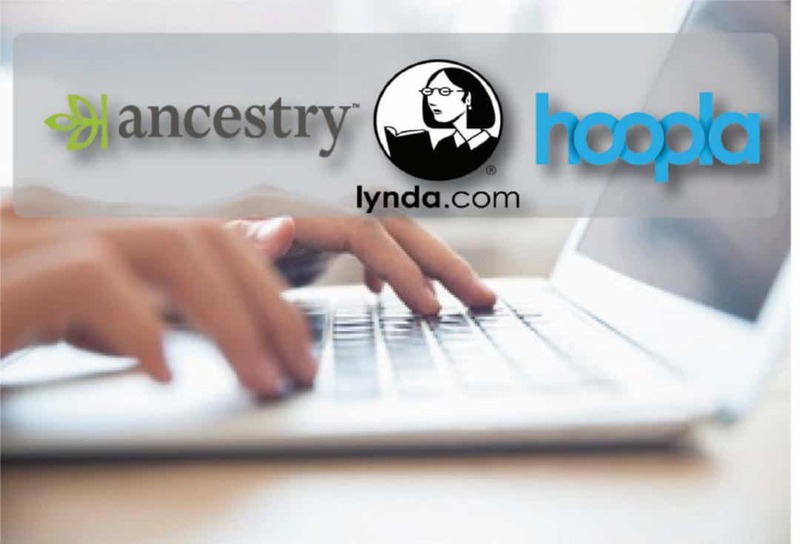 Students needing help with Word, Excel, and a host of other software, can view thousands of instructional videos through the library’s subscription to Lynda.com. Each video tutorial is divided into short segments for easy viewing. Your library card is your entry ticket to thousands of resources, from books and audios to downloadable eBooks to databases and more. Let the library help you prepare for a stellar school year. This fall, come spend a few Thursday evenings at the Manhattan Public Library to join in lively discussions of three timeless children’s classics! 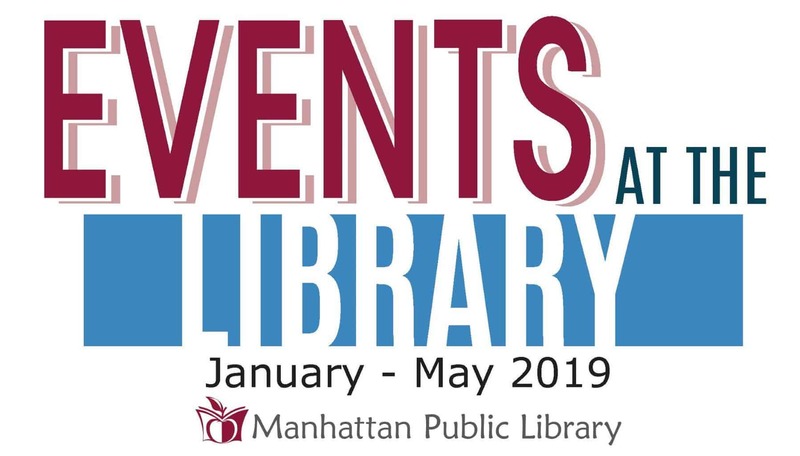 The Manhattan Library Association is partnering with Humanities Kansas to host three TALK About Literature in Kansas events. Humanities Kansas, formerly the Kansas Humanities Council, connects communities with history, traditions, and ideas to strengthen civic life. Last year it supported 610 events in 119 Kansas communities, reaching nearly one in six Kansans. Do you remember your early childhood reading experiences? Curling up sideways in a chair, perching in a relative’s lap, or stretching out on the floor to become thoroughly engrossed in some unforgettable tale? Those stories entertained us; more than that, they educated us about friendship, human nature, adventure, and imagination. It’s worth revisiting those childhood tales from time to time as adults, reflecting on courage and faith, on growth and love, overcoming the insurmountable. These tales reflect our society’s hopes, our ideas of family, and the values and traditions we wish to pass forward. 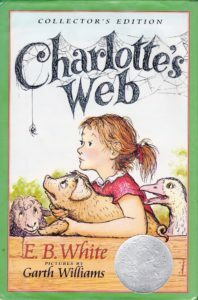 The first book TALK will explore Charlotte’s Web, by E. B. White. The gentle story of Wilbur the pig and his loyal friend, Charlotte the spider, unfolds in a rustic barnyard; there, the changing of the seasons reflects the pain and sweetness of growing up. The affection and humor of the story, brought forth by the memorably roguish Templeton the rat and the gently supportive Charlotte, can’t fail to evoke deep sentiment. Nicholas Shump will lead discussion of Charlotte’s Web on September 20 at 7:00 PM in Manhattan Public Library’s Groesbeck Room. Shump currently teaches Humanities, History, and Political Science for the Barstow School and the Hybrid Learning Consortium in Kansas City, has taught Humanities and American Studies at KU, and has coordinated volunteers in Lawrence’s adult education program. October’s selection is The Lion, the Witch, and the Wardrobe, by C. S. Lewis. Strong moral themes underpin the tale of four siblings stumbling through a wardrobe to discover a magical land called Narnia. Lucy, the youngest and first through the portal, brings back unbelievable tales of a snowy land and mystical creatures; her siblings each react differently, acting in both worthy and despicable ways. Even as bravery and wickedness collide, the narrative firmly evokes forgiveness and redemption. William Brown will open the discussion of the first Narnia book on October 25 at 7:00 PM in the Groesbeck Room at Manhattan Public Library. Dr. Brown earned his Ph.D. in Literature and Religion at the University of Chicago and is professor emeritus of English and Humanities at Kansas Wesleyan University. He has participated in the TALK book discussions since the early 1980s. The last presentation this fall delves into Roll of Thunder, Hear My Cry, by Mildred Taylor. Cassie Logan, growing up in Depression-era Mississippi as a black girl, learns why the land matters so much to her family. The events of one turbulent year – night riders and burnings, public humiliation by a white girl, and public struggles for basic recognition – starkly highlight the experiences of American people struggling to survive a horribly intolerant and unsympathetic culture. Dr. Michaeline Chance-Reay will lead discussion of Roll of Thunder, Hear My Cry on November 29 at 7:00 PM in the Manhattan Public Library’s Groesbeck Room. Michaeline has taught classes in Education and Women’s Studies at Kansas State University. Her research led to an exhibition at the Riley County Historical Museum and an accompanying book, Land Grant Ladies: Kansas State University Presidential Wives. Her current research focuses on the Harvey Girls, women who, as waitresses in the Harvey Houses along the Santa Fe Railroad, brought friendly, familiar service to rail travelers and workers from the 1880s to the 1960s and beyond. Let these children’s classics return us, for just a moment, to those thrilling days of yesteryear; through them, let our history ride again. The TALK discussions are free and open to all. Additional copies of the discussion books will be available at the Reference Desk for check-out in August. Later this month fangirls and fanboys from all over the world will make their annual pilgrimage to comic and graphic novel heaven, the San Diego Comic Con. Every year the event draws large crowds of superhero, manga, and fantasy enthusiasts to celebrate the art and creativity of the industry’s best graphic fiction and nonfiction. The Will Eisner Comic Industry Awards, considered the Oscar’s of the comic and graphic book industry, was named for the renowned cartoonist and established in 1988. The awards committee does not neglect young readers, and you’ll find some great selections for kids and teens among the 2018 nominees. Be sure to check the Eisner website for the rest of the nominees, and later this month, the winners. For the youngest readers, up to age 8, there are some great titles among the nominees, including one from bestselling author and illustrator Kevin Henkes. His clever picture book Egg is nominated this year. Told in pastels and bold lines, each page shows the progression of four eggs. “Egg, Egg, Egg, Egg….Crack, Crack, Crack, Egg.” From three eggs, three birds emerge, but what about the fourth egg? Henkes expertly crafts a tale of friendship and acceptance with few words and simple imagery. Young readers and pre-readers will enjoy this tale as the vivid illustrations are easily interpreted. Also nominated in the category for young readers is Arthur and the Golden Rope by Joseph Todd-Stanton. This adventure story is the first in the new “Brownstone Mythical Collection” series. Arthur is a small, but curious boy who loves exploring the magical forest beyond his home. One day, during one of his explorations the town is attacked by monsters who extinguish the ever burning fire at its center. The villagers need the fire’s continuous burn to keep the town warm. Someone must go ask for the help of Thor, the Norse god of Thunder, but everyone is too injured for the journey. Everyone, that is, except for little Arthur. It’s a funny story about a clever boy whom everyone underestimates, but he manages to overcome great odds to become the town’s hero and a legend. 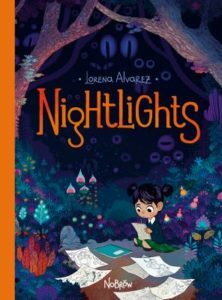 Among the nominees for best publication for readers aged 9-12 is Nightlights by Lorena Alvarez. This captivating and creepy tale follows artistic young Sandy. In her notebook, she brings to life vividly imaginative creatures represented in vibrant colorful spreads throughout the graphic novel. The strict nuns at her school attempt to draw her attention, but Sandy’s focus cannot be corralled. She struggles to make friends, but soon meets the lavender haired Morfie. The ghostlike girl sees the magic that Sandy creates in her drawings, and wants to control and dictate Sandy’s creations. The beautiful and bold, yet eerie illustrations will draw readers in immediately, but the plot and theme leave much to consider well after you close the book. In addition to Nightlights, a nominee worth checking out from the library is Bolivar by Sean Rubin. Like Elvis and Tupac, it has long been disputed whether or not dinosaurs still live among us. Ok, maybe that’s not quite true, but in this tale there is for sure a dinosaur living next door to Sybil. The problem is that everyone is so busy with their day to day lives they don’t notice him. After the students laugh at her for saying she has a dinosaur for a neighbor, and the teacher admonishes her fibbing, Sybil grabs her camera determined to catch a picture of Bolivar the dinosaur. This graphic novel is beautifully rendered, and incredibly funny. For teens there are a couple of great titles available for checkout at the Manhattan Public Library. One is written by author Marjorie Liu. Monstress vol. 1, with art by Sana Takeda, is set in the aftermath of a great war between humans and animal hybrids. Sold into slavery, Maika, seeks revenge and her quest begins in volume one of this graphic novel. This is a great choice for lovers of Paper Girls by Brian K. Vaughan and The Wicked + The Divine by Kieron Gillen. Also being considered is a modern day retelling of Jane Eyre by Aline Brosh McKenna. In this updated tale, Jane a sheltered college freshman learns all about the Rochester New York elite while working as a nanny for the daughter of a mysterious business man. Fans of the original will love this update. As we hear more and more about millennials, we often hear about the “quarter-life crisis,” a period in early adulthood marked by feelings of stress and inadequacy about finding success in careers, relationships, or personal life. According to a recent survey by LinkedIn, 75% of millennials say they have experienced a quarter-life crisis; as a millennial myself, this statistic rings true. 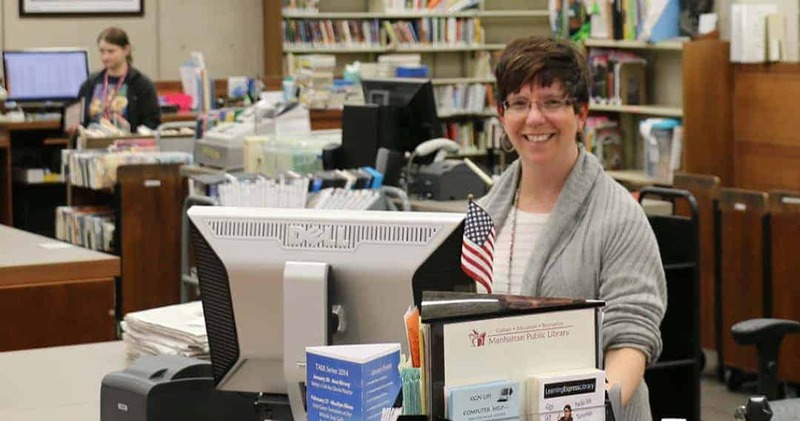 I experienced my own seven years ago (which led me to librarianship), my husband wrapped his up within the last year, and many of my friends have struggled with how to succeed as adults. Fortunately, there are books for everything, including quarter-life crises. If you are a millennial or know of someone going through their own crisis, these books can help. By far the biggest stressor for millennials is finding the right job, so why not check out Richard N. Bolles’s classic What Color Is Your Parachute? Bolles updates this tome regularly, so you can look at the 2018 edition and find information about how the internet affects the job hunt and how to succeed in the current job market. Better yet, Bolles goes beyond job hunting and helps you figure out who you are, what you want from life, and the best way to go after it. If you’re just as confused about what career to pursue as you were before college, give this book a look. If you’re in further need of guidance, the library has plenty of advice books out there. You might be interested in Adulting by Kelly Williams Brown, which gives advice about the many, many aspects of being a successful adult. Welcome to Your Crisis by Laura Day focuses on how to use your current crisis as a catalyst to figure out what you want in life and move towards it. For help with awakening your creative side, try Elizabeth Gilbert’s Big Magic, which encourages readers to approach life fearlessly in order to open themselves up to their intuition and creativity. Lastly, for a good all-around advice book, read Cheryl Strayed’s Tiny Beautiful Things, a compilation of her Dear Sugar advice columns. Strayed practices radical empathy in answering her letters, accepting everyone and finding absolute value in their lives and emotions, all while dealing out hard-hitting truths. Memoirs offer a more personal touch than traditional advice books, as you can follow along with the authors as they rise to the challenges of their lives. For a look inside a real quarter-life crisis, try Noelle Hancock’s My Year with Eleanor. After being fired from her job, Hancock decided to follow Eleanor Roosevelt’s advice to “Do one thing every day that scares you” in order to work her way out of her rut. 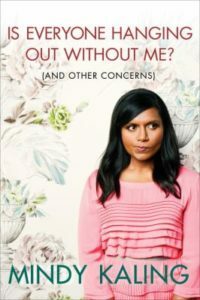 Mindy Kaling’s memoir Is Everyone Hanging Out Without Me? contains Kaling’s often-hilarious thoughts about all kinds of things relevant to millennials, from her career struggles to romance and body image. Finally, Jenny Lawson’s Let’s Pretend This Never Happened is an irreverent, shoot-milk-out-your-nose-funny memoir that will remind you that you’re not alone in having a crazy life. And trust me: when compared to Lawson’s stories, your life’s definitely not that crazy. If fiction is more your speed than nonfiction, rest assured that we also have novels that can help you feel less alone in your quarter-life crisis. Jhumpa Lahiri’s The Namesake follows Gogol Ganguli, a first-generation Indian-American, as he grapples with the weight of his namesake (a titan of Russian literature) and the burden of his parents’ expectations. Jennifer Close writes about a circle of best friends in Girls in White Dresses, following them through their twenties and thirties as they face their own quarter-life crises and build their adult lives. For a wider perspective on the struggles of adulthood, read The Casual Vacancy by J.K. Rowling, a Dickensian novel about the secrets and shames of the residents of Pagford. Rowling’s novel serves as a welcome reminder that, no matter what class or age group someone is from, everyone is living behind a façade of some sort in order to project success to the world at large. Hopefully, these books can give you or a millennial you know some comfort while working through a quarter-life crisis. Even if you’re not experiencing a life crisis, the library has plenty of books to interest everyone. Stop by the Reference Desk for some recommendations, or just browse until something piques your interest. A couple years ago, Al Roker received significant praise for a book entitled The Storm of the Century. That memorable book recounted the worst natural disaster in American history, the 1900 hurricane that devastated Galveston, Texas, leaving some eight thousand dead and crushing buildings throughout the town. Reviewers particularly noted Mr. Roker’s careful retelling of historical detail, as well as the compelling stories of some of those caught by ravaging winds and high waves. Now Roker has written yet another riveting tale of historical disaster. 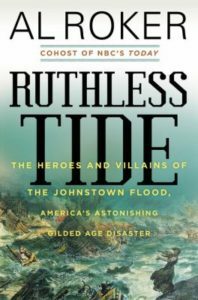 Ruthless Tide is an investigation into the 1889 flooding of Johnstown, Pennsylvania, a horrifying event that took the lives of over 2000 people and wiped out whole towns. This account, however, is not a natural disaster of the scope of the Galveston event. This time, Roker explains how man-made modifications triggered the tragedy. Spreading across a low-lying valley, Johnstown was a steel-producing town. It was situated below an earthen dam along the South Fork of the Conemaugh River. At one time, there had been a large reservoir, but the dam was not maintained and eventually partially collapsed and began leaking water. The area behind the dam then became something of a wetland, useful only as grazing land. But all of that changed in 1879 when some enterprising businessmen like Henry Fick and Andrew Carnegie decided to restore the dam, create a man-made lake behind it, and construct the South Fork Fishing and Hunting Club. Designed as a private resort for wealthy investors, the club boasted restaurants, available sailboats, even lakeside homes for its members. Unbeknownst to most people, the old sluice gates which were designed to release water when the lake overfilled, were either removed or disabled. In addition, the dam was reinforced with clay to which stone was attached. Finally, a fishguard, made of iron rods suspended from the inner walls of the dam, prevented the cherished stock of black bass from escaping the lake. With the outlying buildings and amenities in place by 1881, the resort was fully operational. The year 1889 brought freakish weather trends over the Memorial Day weekend. While the Johnstown residents were used to some flooding, the usual rains quickly developed into a 24-hour total of 11 inches. The already saturated ground could not handle the volume, and so city streets and basements accumulated water. The lake water above the town rapidly approached the top of the dam and the structure was soon compromised. Why read this book? First of all, it is an example of how human intervention can bring about disaster. After the flood, a few of those most affected by its force instigated lawsuits to compensate for their losses, but the courts and lawyers hired by the shareholders of the club quashed those efforts. This led to a new age of liability, during which those who created the danger had to bear the responsibility of the damages. A second appealing aspect of the book is in its exact details. We reader learn all about the early industrialists who built the steel empire. We discover the progression of errors that caused the dam to fail. We learn about the force behind a wall of water that easily upended train cars and leveled homes. We discover the flukes that can spare or destroy lives in a very short time period. Perhaps the most appealing feature of the book is its attention to the stories of individual townspeople. The tale of little Gertrude Quinn is particularly poignant. Separated from her family during the confusing flight, the six-year-old became a legendary figure in Johnstown’s history. And the heroic efforts of some to save others is truly admirable. Thomas Magee, for example, managed not only to save his store’s cash, but also to work with other store employees, pulling people to safety and supplying food to those who were stranded. In all, this is a finely crafted book, with compelling human drama and a solid historical telling. You will not regret this reading experience. July 4, Independence Day, the beginning of the dog days of summer. It is hot, period. After the grilling and the picnicking, and the fireworks, it’s time to escape into the coolness of the indoors. It’s time to sample some of the best in patriotic movies at this patriotic time of year. Let’s start with a Frank Capra classic from 1939, “Mr. Smith Goes to Washington.” Jimmy Stewart stars as a newcomer to politics appointed to fill the term of a deceased Senator. Little does he realize that he was selected as someone who won’t ask questions. But Mr. Smith does just that when he learns of a pork barrel scheme to build an unneeded dam on the site of a proposed camp for Boy Rangers. Cynical Senators and their cronies attempt to besmirch his reputation, but Mr. Smith stays steadfast to his principles. Do you remember watching the miracle on ice? Director Gavin O’Connor portrays the underdog 1980 U.S. Hockey team in “Miracle.” Kurt Russell stars as coach Herb Brooks, who leads his group of amateurs against a powerhouse Soviet team in the medal round at the 1980 Lake Placid Olympics. The Americans beat the Soviets 4-3, advancing to the gold medal game. Hostile aliens attack Earth in Roland Emmerich’s “Independence Day.” With most of the world’s major cities destroyed, survivors U.S. President Bill Pullman, eccentric computer genius Jeff Goldblum, and hotshot Marine pilot Will Smith lead a last ditch effort to save the planet from annihilation. All this as the July 4 weekend approaches. “Apollo 13,” by director Ron Howard, is a true story of American ingenuity and perseverance. Stranded a couple of hundred thousand miles from home, astronauts Jim Lovell (Tom Hanks), Fred Haise (Bill Paxton), and Jack Swigert (Kevin Bacon) struggle to survive the aftermath of their liquid oxygen tank failures. With the mission to land on the moon scrubbed, and faced with freezing conditions in the spacecraft and dangerously rising CO2 levels, Mission Control races against time and the odds to bring the astronauts home. Director Edward Zwink portrays the story of the 54th Massachusetts Volunteer Infantry, the first Black regiment in the Civil War in “Glory.” Matthew Broderick is Colonel Robert Gould Shaw, the son of abolitionists, who volunteers to lead the regiment. Facing nothing by prejudice and the hatred of both their White comrades as well as the enemy, the 54th wins glory ay Fort Wagner, South Carolina. Not by winning the day, but by their courage and heart. Bum boxer slash debt collector, Rocky Balboa, gets his chance to fight for the heavyweight championship in “Rocky.” Released in 1976, directed by John Avildsen, and written by Sylvester Stallone, “Rocky” is the inspirational story of a failure who doesn’t know when or how to quit. The film spawned six sequels. Directed by Michael Curtiz, from 1942, “Yankee Doodle Dandy” is a musical biography of playwright, entertainer, and composer, George M. Cohan. Played by James Cagney, the real Cohan was born on the 4th of July in 1878. He moved from child performer in his family’s vaudeville act to successful Broadway playwright. He composed hundreds of popular songs including “Over There,” “The Yankee Doodle Boy,” and “You’re a Grand Old Flag.” President Franklin Roosevelt awarded Cohan the Congressional Gold Medal. He was the first person in any artistic field to receive such honor. Steven Spielberg’s biopic, “Lincoln,” portrays the final few months of the 16th President. At the beginning of 1865, Abraham Lincoln is pushing for the passing of the Thirteenth Amendment to the Constitution to abolish slavery. He believes the end of the war is in sight and that the possibility of freed slaves being re-enslaved by the former Confederate States is unacceptable. 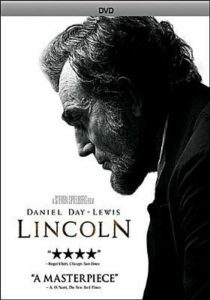 Daniel Day Lewis is Lincoln in this Academy Award winning film. Finally, “The Sandlot,” directed by David Mickey Evans, harkens back to a simpler time. This is the magical summer in the early 1960’s when clumsy, unathletic, Scotty Smalls joins the gang at the sandlot. Through hours and hours of baseball, swimming, and wild adventures about a ferocious beast with an appetite for baseballs, Smalls becomes part of the team, whose leader becomes a legend. The library can help you beat the heat this Independence Day with these and other films on DVD, Blu-Ray, and thousands of films across all genres available for free download through Hoopla. Summer is here! And with it comes the lure of long car rides. My husband and I find audiobooks pass the long miles of summer travel to western Kansas. In May, I found myself devouring Trials of Apollo: The Burning Maze by Rick Riordan. This book is the third in a series about the god Apollo who has been sent to earth as sixteen-year-old Lester Papadopoulos. He becomes a servant and friend to young Meg McCaffrey. Apollo/ Lester and Meg need to work together because they have to save the world from evil, ancient Roman emperors. I turn into a fangirl waiting for these humorous young adult novels, and I love listening to audiobook versions. Sadly, it is now June, and I am trying to find another audiobook. I also have to keep in mind something my husband might enjoy as we plan car trips this summer. For me, a great audiobook comes down to one of two things: the story or the narrator. Here are some ideas while Game of Thrones is checked out. One author my husband enjoys and who meets my great audiobook definition is Brandon Sanderson. Sanderson is an excellent fantasy author who has a number of great books and audiobooks. He is similar to George R.R. Martin (but less homicidal) with beloved characters. The Stormlight Archives series engrosses listeners with its alternating narrators and rich detail of the world Sanderson creates. His characters are also vast and rich. I will warn you: the books are long, and Sanderson has only released book three, Oathbringer, in a ten-novel series. Additionally, Sanderson uses the same universe for all of his novels, which links them all together, and some characters cross over into other series, too. The Sanderson world stays the same, while the time period changes. If you find yourself wanting to immerse yourself into Sanderson’s world slowly, then I suggest The Rithmatist. So far, this series has one book with an anticipated sequel due out any time. This series is more of a young adult series, and as a result, I found myself in a familiar world filled with magic and a familiar voice. The narrator of this series is the same one who reads for Sanderson’s Stormlight Archives. The Rithmatist tells the story of Joel, who studies Rithmatics, but who is not a Rithmatist. Joel and his friend Melody, a Rithmatist, must solve the mystery of kidnapped Rithmatist students from Armedius Academy while learning how to use Rithmatics—magic that uses chalk—to fight Chalkings, who are two-dimensional drawings. The duo must also work together to compete in the end-of-summer melee tournament. If all else fails, then I usually listen to my go-to author, Neil Gaiman. I will listen to anything and everything that Gaiman reads himself. Neverwhere or The Ocean at the End of the Lane are two favorite audiobooks that Gaiman narrates. Neverwhere tells the story of Richard Mayhew who helps a young woman named Door. Suddenly Richard now finds himself in a parallel London—London Below. In London Below, Richard must face shadows, monsters, sinister characters, and an angel on his quest to help Door. Mixed with terror and humor, Neverwhere takes listeners on a fantastic journey to a London that could exist beneath the one most people know. BBC also created a full cast audiobook version, which I highly recommend. Gaiman always has some chilling elements in his works. The Ocean at the End of the Lane includes this creepy element typical of Gaiman’s work, but he also includes magical realism. The novel is told in flashback form as the narrator returns home for a funeral, then finds himself at the house at the end of the lane. Visiting with Mrs. Hempstock, the narrator remembers her daughter, Lettie, who befriended him as a child. He recalls their adventure to defeat a creature and save the world as we know it. At the end of the novel, readers are left wondering if the narrator just remembered a childish fantasy he created with Lettie, or if it all really happened. I understand fantasy–whether it be dark fantasy, high fantasy or regular fantasy–might not be your cup of tea. However, I can say nothing passes the miles like an enthralling audiobook. Manhattan Public Library has numerous audiobooks for you to check out. Should you find yourself halfway through your trip with no audiobook, then you can use our digital platforms like Sunflower eLibrary and Hoopla to ease your travel. I know nothing about fly fishing. I knew little about the fashionable craze to obtain exotic feathers during the 19th century. I had never heard of the British Museum at Tring, nor had I known of Edwin Rist’s past. Yet all of those factors are a part of a wonderful new nonfiction title. While fly fishing outside of Taos, New Mexico with his guide, avid fisherman and author Kirk Wallace Johnson learned about Victorian salmon fly-tying. His guide proudly showed some of his expertly tied specimens that he considered more artistic than useful. This led to a discussion about a little known theft that Johnson vowed to investigate, and that obsession became a book that took Johnson several years to complete. But what a book it is. The Feather Thief is an amazing piece of writing that explores obsession, greed, and even the craft of fly-tying itself. Of all the thefts from world-renowned museums, the plundering of the ornithological collection at the British Museum of Natural History at Tring, England is one of the oddest. In 2009, American Edwin Rist managed to thwart security measures, thus allowing him to steal hundreds of rare bird feathers and skins. He not only made away with a priceless treasure, he also evaded capture for a long time. Many of the stolen items were collected during the 19th century by a naturalist named Alfred Russel Wallace. Wallace was intrigued by insects and birds and made several dangerous voyages to the Amazon and Bermuda, among other destinations. He collected specimens by the thousands and sold many of them to the British Museum. He was particularly interested in the golden-plumed Bird of Paradise and finally captured one on the Aru Islands. Wallace, a contemporary of Charles Darwin, came to believe in the importance of evolution through natural selection and urged other scientists to preserve his found treasures for future study. The discovery of those 19th century specimens by Wallace and other naturalists led to a craze in collecting bird feathers. Women’s hats sported feathers and skins, and Victorian fly-fishermen collected feathers for fly-tying. As a result, bird populations throughout the world were decimated in the late 19th century, and many rare species virtually disappeared. And that’s where Edwin Rist enters the story. As a teenager, he developed an interest in Victorian fly-tying and he took lessons from some of the best teachers in America. He became quite proficient in tying and earned honors at contests for his artful creations. The major obstacle that he and other devotees of the skill faced was that so many of the exotic feathers the Victorians used were either no longer available or very expensive. Rist was also a talented musician and was invited to study and play with the London Royal Academy. While in London, he learned about the collections at Tring and became obsessed with them. A visit to the museum, during which he casually opened drawers containing valuable specimens, made him realize that security measures would be easy to circumvent. He convinced himself that he should steal the skins for their future artistic potential. Exactly how many feathers and skins did Rist manage to steal? Did he sell them or keep them for himself? Were the specimens recovered? Was Rist charged with the crime? How did the museum staff react? How did the network of Victorian fly-tiers respond? Did the author of the book interview Rist? For answers to these and other questions, you must read this exceptional book. I promise you will be amazed by the Victorian craft, by the historical experiences and collections of Alfred Russel Wallace, and by Johnson’s dogged investigation into the crime. This book is true-crime reading at its very best. My memories of my grandmother are full of cooking. She could go into her tiny kitchen and produce meals that still make me hungry remembering them twenty years later. She learned to cook on the farm, so she could take plain food and mix it up to make a variety that wouldn’t get boring over the lean times or through the winter months. I recently took a reading journey through the history of food in the United States. We don’t often think about why we eat what we do, but there is a long history of cultural and economic forces that affect what we put on our tables. A Square Meal: A Culinary History of the Great Depression by Jane Ziegelman takes us back to a time when nutrition education and extreme poverty converged into one of the greatest food challenges our nation has ever faced. People did as much as they could for themselves by learning new ways of cooking and preserving foods. Farmers returned to a bartering system because so few could afford to buy their products. I enjoyed the story of a farm girl who was tired of the egg salad sandwich she took to school every day because her family had no buyers for their eggs. Another girl was tired of peanut butter and jelly because they couldn’t afford eggs or meat. After envying each other, they happily traded sandwiches. Extension taught homemakers how to stretch their food dollars and maximize yields from their gardens. Lessons and necessity produced a shift from food as a satisfying and tasty part of life to the nutritional baseline of food – what is absolutely necessary for survival. Recipes from the time are included, which aren’t necessarily appetizing, but demonstrate clearly how desperate the situation was. The poverty was too deep and wide-spread for self-sufficiency to solve the problem, however, and the government and charity organizations stepped in with bread lines and food distribution, creating the first versions of food stamps and the school lunch program. Ziegelman also delves into the cultural and political attitudes of the time towards charitable giving and tells how these views affect us even today. This compelling narrative illuminates a period in our history when our ideas about food underwent a huge shift. In Eight Flavors: The Untold Story of American Cuisine, Sarah Lohman examines eight flavors commonly used in the American diet—black pepper, vanilla, chili powder, curry powder, soy sauce, garlic, monosodium glutamate, and Sriracha – and tells their stories. Lohman’s first job was as part of a family in an historical reenactment village, where she got the opportunity to cook with the ingredients available in Ohio in 1848. Her experience led her to wonder why we use different ingredients now and when those shifts took place. For instance, Americans used to regularly use rose water in their cooking, but now we mostly use vanilla. Vanilla became popular because of a scientific discovery that had nothing to do with food: the simple fact that adding salt to ice lowers the freezing temperature of water. This well-researched and delightful exploration of American flavors includes historic recipes and Lohman’s personal experience with, and opinion of, each flavor. After examining these books, I can see how American history is displayed regularly on my dinner table when we have gravy like my grandmother used to make, curries, stir fries, and vanilla ice cream for dessert. Economics, science, and culture have affected every dish on our table. These fascinating narratives about the history of our diet will have you looking at your meals–and culture–in an entirely new way. It’s that time of year again when the Children’s Room is abuzz at the library. Kids are out of school and streaming in our doors, ready to find the perfect books for summer vacation. The annual Summer Reading program is underway with the super cool theme, “Libraries Rock!” Programs will highlight musical topics, and as always, all ages can join our summer reading challenge to see how much you can read, earning prizes along the way. Children’s librarian Rachel Carnes has chosen some amazing picture book biographies to read during the Biblio Beatniks club for kids going into 4th-6th grade. Award winning authors Lesa Cline-Ransome and James E. Ransome created the gorgeously illustrated book, “Before There Was Mozart: The Story of Joseph Boulogne, Chevalier de Saint-George.” Joseph was born on a plantation in 1739, the son of an enslaved woman and a plantation master. He was provided an education and violin lessons, and became famous as a violinist and composer, performing at the same time as Mozart and getting equal sized crowds. Another week will feature Troy Andrews’s “Trombone Shorty,” describing the New Orleans musician’s determination to join the Treme brass band playing an instrument twice his size. Every week, kids will be inspired learning about a musician who beat the odds. They will also view fascinating short videos of performers, and create a musical instrument to take home. In the weekly clubs for K-3rd graders, Ms. Grace will feature stories and music from different countries around the world, including Ghana, Iran, India, Japan, Ireland and Argentina. “The Girl with a Brave Heart” is a tale from Tehran by Rita Jahan-Fouruz that retells an old fairy tale. A child, who does not feel brave, must retrieve something from a scary neighbor. The old woman tells young Shiraz to complete 3 destructive tasks first, but Shiraz instead chooses to do helpful things. In return, the old women magically rewards her. However, when the tasks are repeated by Shiraz’s jealous stepsister, the result is not the same. Each book read aloud will provide interesting discussion from the kids, and they will get to watch some traditional music and dances. Even the toddlers and babies can participate with beautifully illustrated picture books set to the lyrics of favorite songs like “Octopus’s Garden” and Bob Marley’s “One Love.” Did you know Kenny Loggins has entered the ranks of children’s book authors with several picture books, including a special 2016 version of “Footloose“? Now Jack (“jump back”) is the zookeeper, and he’s “howlin’ with the wolf pack.” The book includes a CD with Loggins singing the silly and fun new lyrics so everyone can “slip on their dancin’ shoes” and cut loose. In the tradition of storytelling, we are happy to host Richard Pitts this summer for “Stories with a Lot of Soul.” His stories from the African American tradition will include audience participation, drumming, and singing. Pitts describes them as “stories that make you laugh and be a little (not much) scared, and a few personal tales, too. There will be stories about animals and people, but all have a great moral to ponder.” On June 16, listening and participating with Mr. Pitts will be the perfect way to start off your Juneteenth celebration. Whether you are whistling, dancing, reading or rockin’ out, we hope you will find the perfect books, music and activities at the library this summer.